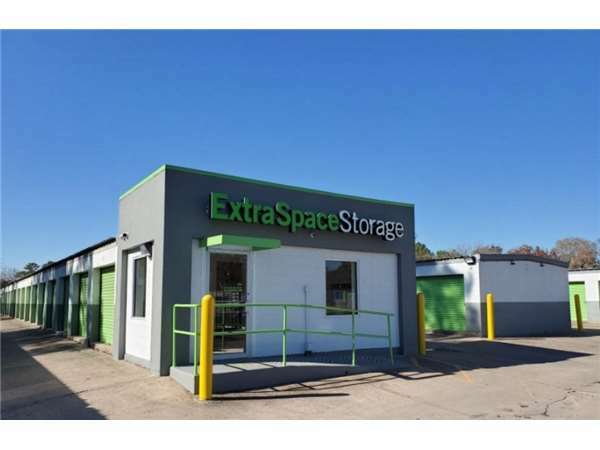 Located on S Lake Houston Pkwy south of Beaumont Hwy, Extra Space Storage serves Houston residents near East Houston, Northshore, Sheldon, and more. Locals will recognize our facility a few minutes south of Dairy Queen and Exxon. 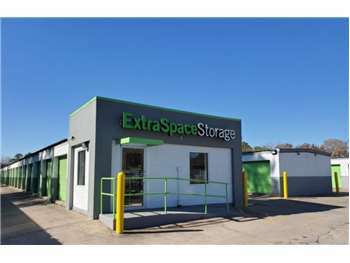 Extra Space Storage on S Lake Houston Pkwy offers a variety of storage units, drive-up access, and exceptional security! We're your ideal self storage partner in East Houston! Our Houston storage facility has unit sizes from 5x10 to 10x20, making it easy to store items large and small! For your convenience, we also have storage units with drive-up access! At Extra Space Storage, the safety of our customers and their valuable belongings is our top priority. That's why our S Lake Houston Pkwy storage facility is equipped with security measures like 24-hour video surveillance, an on-site resident manager, and electronic gate access. Looking for a more convenient storage option? With drive-up access, you can pull your vehicle right up to your unit to move large, heavy items in and out without hassle! Not only does Extra Space Storage strive to deliver high-quality self storage, but our customer service is the best in the business! Our friendly, professional team maintains a clean, secure facility at all times, and they're more than happy to provide assistance whenever you need help. Contact us today to reserve a storage unit in Houston! Very clean storage facility, staff is very professional and courteous. It's also in a convenient location and accessible hours.I would recommend this storage facility to everyone looking for extra storage. Great customer service! There when I need them, great price!! After losing my key the first day, I just went right in and signed a form, and were able to cut my lock for me to access my property right away! Thanks a lot! Im glad to use Extra Space. From North: Take Sam Houston Pkwy (Beltway 8) East. Exit Tidwell Rd turn right on Tidwell Rd. Turn left on C E King.C E Kings turns into S. Lake Houston Pkwy after you pass over rail road tracks. Your destination is 1/2 mile down on the right side. From South La Porte area: Take 225 West to Sam Houston Pkwy (Beltway 8). Merge on to Sam Houston Pkwy North . Exit on to US 90 south / Crosby Fwy. Turn left on to US 90 frontage road. Turn right on S. Lake Houston Pkwy . Your destination is 1 mile down the road on the left. From Katy you would take I 10 west to Hwy 90 North. Exit Normandy. Left on Normandy which turns into S. Lake Houston Pkwy. The site is 1/2 mile down on the left side.